Firstly, thanks to the David Hockney Exhibition, I had the chance to visit for the first time the Tate Britain (which is an astonishing museum by the way) as – oddly enough – I never did since moving to London. Secondly, I was very curious to see this exhibition and, although when it comes to art I’m quite easily pleased, this exhibition has impressed me in a quite unique way: the eclectic-ness of his art, the colours, the subtle humour revealed in some of his paintings (made me giggle a couple of times at the very least) along with the variety of the subjects of his representations: from daily life to unusual perspectives, all caught with a unique cleverness. This exhibition is currently displaying 60 years of works of the Yorkshire-born English Artist, and it spans from the early stage while being a student in Los Angeles to the newest works made since his return to California. 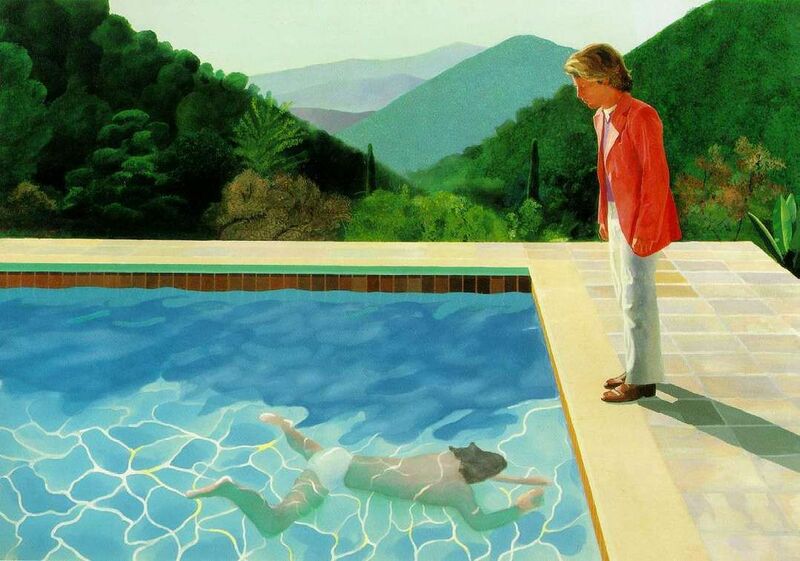 David Hockney was born in 1937 and is one of the most popular artist of our time. He has frequently challenged and questioned the conventions with his works, as with the protocols of perspective or simply by playing satirically with abstract art. During the 60’s Hockney moved to California and set out to paint that Country. The openness of the space or the geometry of the buildings and designs of the houses. He is truly fascinated by the colours and at the same time questions of how could a painter capture the constant moving and transparent qualities of glass or water were absorbing him. Naturalistic representations were part of the late 60′ works. A series of still lifes and landscapes enabled him to master the qualities of acrylic paints. As mentioned earlier I have loved this exhibition and truly recommend it.